What do you call a war film with a hero who doesn’t commit an act of war? Hacksaw Ridge. 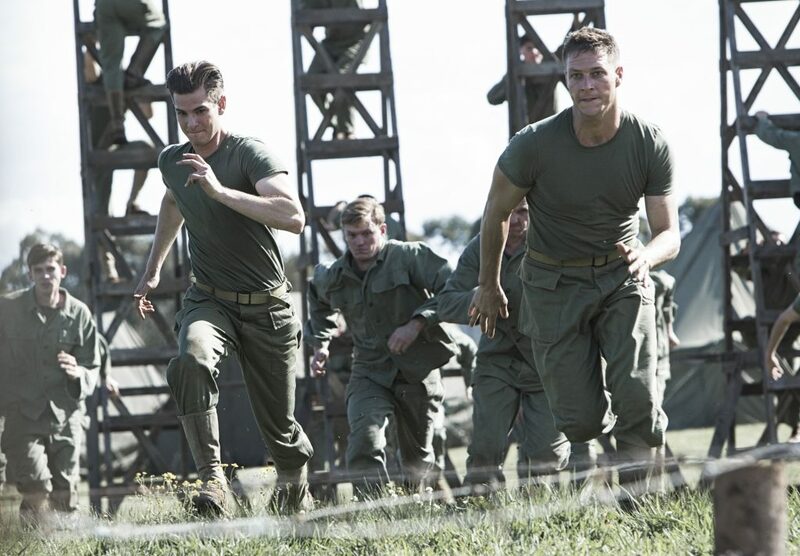 Hacksaw Ridge is the story of Desmond Doss, the first conscientious objector to win the Medal of Honor, the United States’ highest military award. Doss earned this honour at Okinawa in the Pacific Ocean in May 1945, nearing the end of WW2, for saving 75 wounded infantrymen despite the threat to his own life, something Doss later described as a miracle. Andrew Garfield is perfect as he depicts the emotions that Doss went through from his journey from a Virginian born Seventh-day Adventist, who refuses to handle a rifle and is ostracised by his fellow soldiers, to a respected war hero in the middle of the bloodiest conflict ever. Garfield, who has been nominated for Best Lead Actor at this year’s Academy Awards, is powerful in this role managing to shine above veteran actors such as Vince Vaughan, Sam Worthington and Hugo Weaving in what is a career best performance. Behind the camera is director Mel Gibson, who has earned his second nomination for Best Director at the Oscars for his direction, having won in 1995 for directing Braveheart. Gibson recreates the gore of the battle of Okinawa, in which 20,195 US soldiers lost their lives, and manages to makes Doss a sympathetic character who has to fight to have his irregular religious views accepted, something Gibson clearly can empathise with due to his history of politically controversial opinions, such as being accused of being homophobic and racist. Before Doss is part of the battle we see him in his hometown courting Dorothy Schutte (Teresa Palmer), a kind hearted nurse. It’s during these scenes that Gibson’s direction falters, focusing too much on the quaintness of Doss’s hometown and gives too much attention to Doss’s father (Hugo Weaving), whose role in the film, despite being well acted, should have been reduced. Despite that the film is enjoyable, the romance between Doss and Schutte is sweet and the moments on the battlefield are exhilarating. 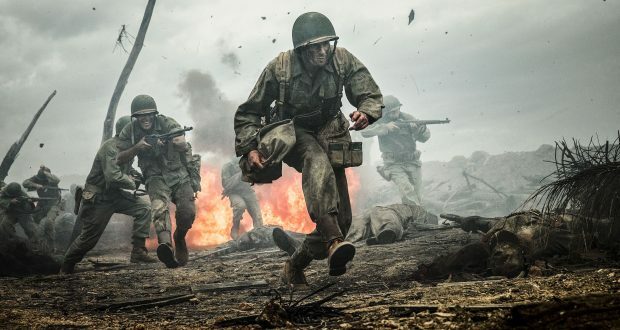 Throughout the film there are also echoes of Gibson’s past, the most obvious of which is when Garfield and his unit are stood staring up at Hacksaw Ridge, a seemingly impenetrable natural fortress which had taken the lives of many other American units. This scene is identical to Gibson’s first major conventional film role in Peter Weir’s Gallipoli released in 1981. In that Gibson’s fellow soldiers are stood waiting for the signal to go over the top and storm a Turkish position, while Gibson’s character attempts to rush to save the lives of his countrymen. Doss is in the exact same position as Gibson’s character was as he hurdles his way to try to save his compatriots’ lives. However, unlike Gibson in Gallipoli, he risks his life to do this, while being shot at by Japanese troops and dragging his injured comrades to safety. The biographical film might have its historical errors, such as fictionalising the story and making it seem like Doss’ first time in action, but the film is one of the best attempts to recreate the Second World War on film. While it can’t quite match Clint Eastwood’s Letters From Iwo Jima as teh best Pacific WW2 film, it is a valiant effort, with a core heartfelt message surrounded by enough action to keep even the most unsentimental filmgoers’s attention.